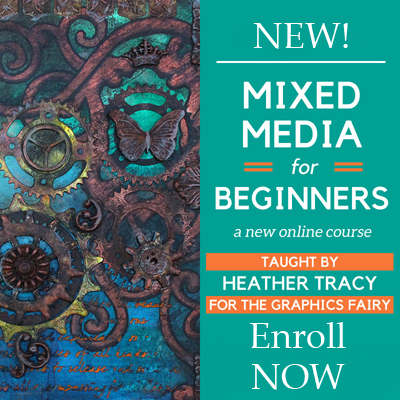 Hello, Graphics Fairy Friends! It’s Heather from Thicketworks, here with a demonstration of some of the wonderful finishes you can achieve with Rust Effect Pastes. 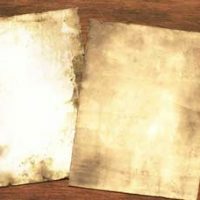 You probably know that I have a penchant for Grunge…there is something about an aged and timeworn finish that just thrills me. 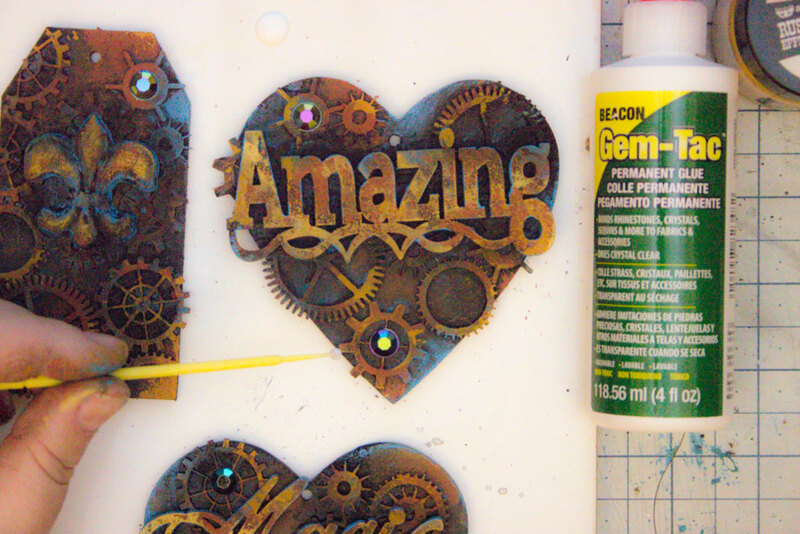 I’ve experimented with many different ways to achieve these looks, some of which involve simple applications of Acrylic Craft Paints, and some that rely on Metal Paints and chemical reagents. 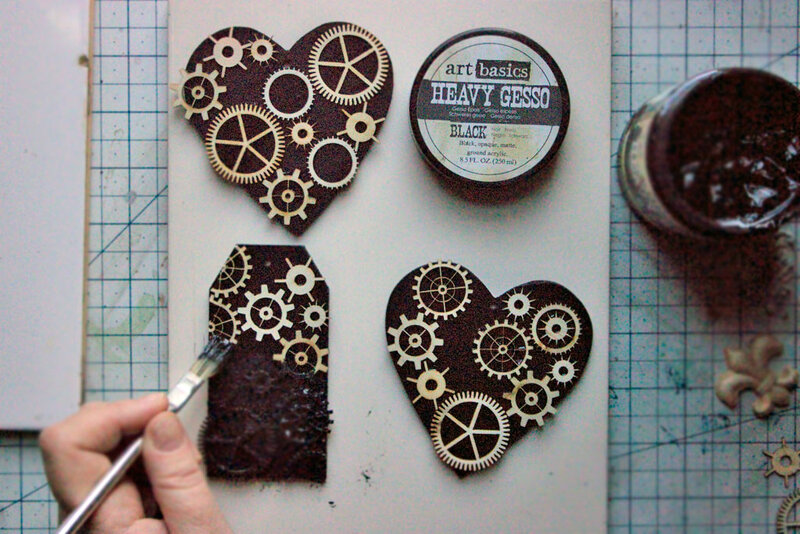 Today, I thought I would find out how Rust Effect Pastes perform. I’m very pleasantly surprised with the results, and hope that you will like them, too! 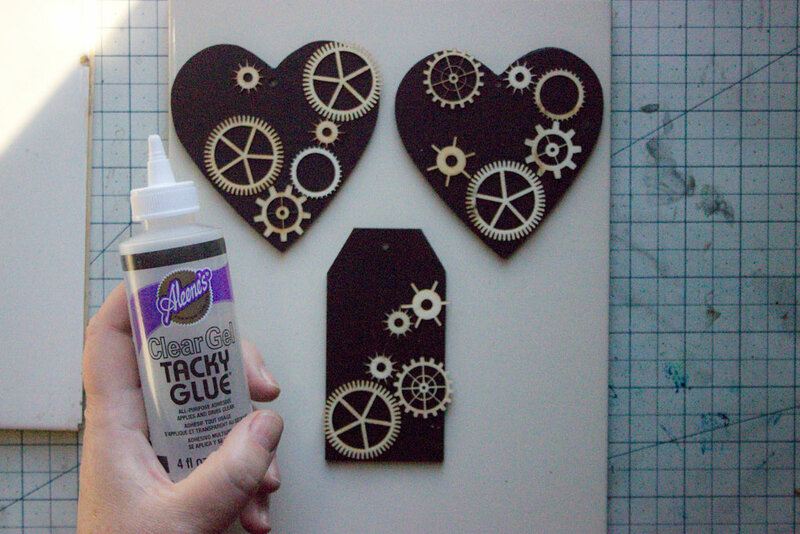 Items to alter – I used inexpensive Wooden Hearts, a Wooden Fleur de Lis and a Wooden Tag from the local Craft Store, along with an assortment of Wooden Gears, and Laser Cut Sentiments. For sparkle, you can add Flat Backed Gems or Flat Backed Pearls – if you do, I recommend using Gem-Tac to hold them securely. 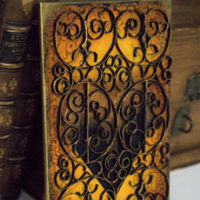 Matte Medium to seal and protect your treasures! 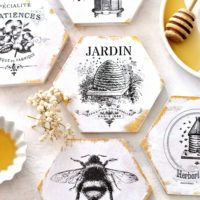 Prepare your items by adhering 3D Elements to the surfaces in a pleasing pattern. But today, I’m on a Rust Effects Mission! Once the paints are thoroughly dry, begin with a patchy coat of the Brown Rust Effect Paste – the goal is to allow a bit of the Green and Blue paint to show through in selected areas. 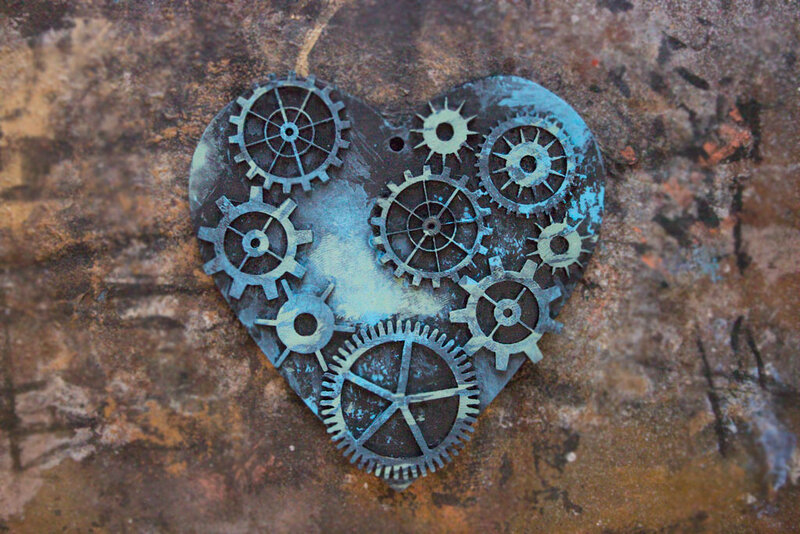 Adhere your Sentiment in place, once the Rust Effects Pastes are dry – it won’t take long. 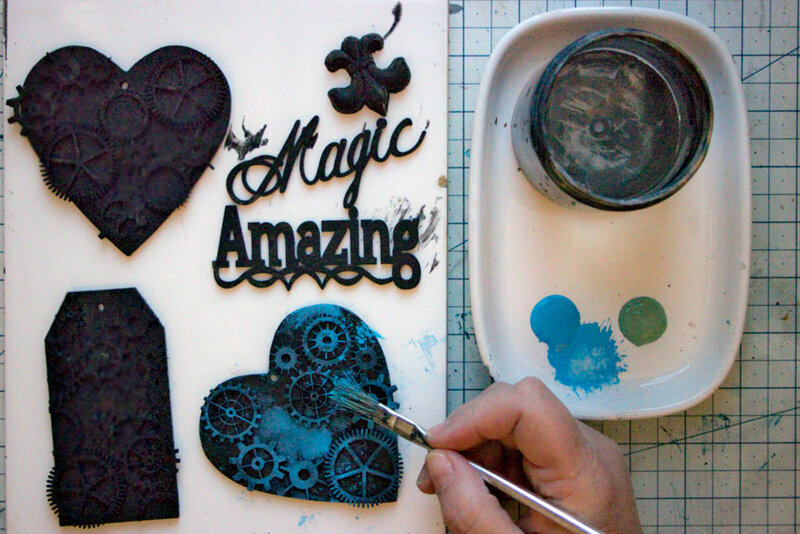 Apply a coat of Matte Medium to seal and protect your work – allow to dry. 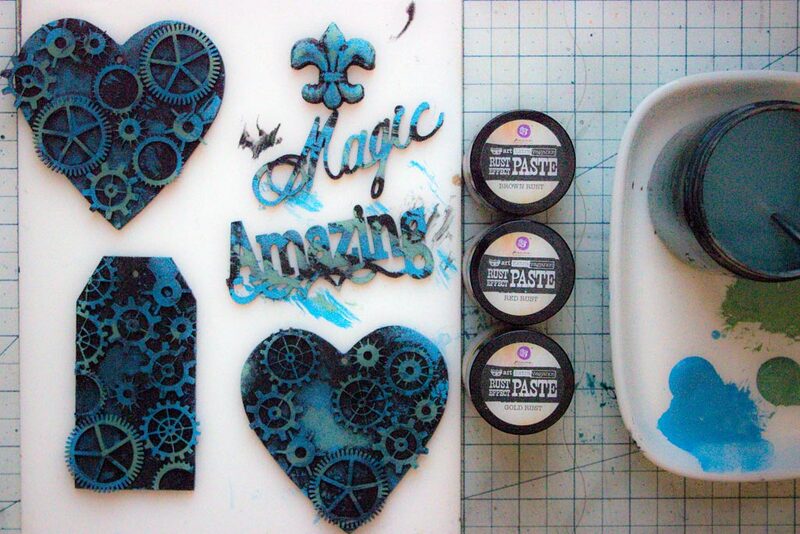 This process is easy, it’s fun, and I really enjoy the results. The touches of Blue and Green, plus the sparkle of the Gems create a lively and pleasing overall impression. It took less than 2 hours to complete all of these pieces, from start to finish. 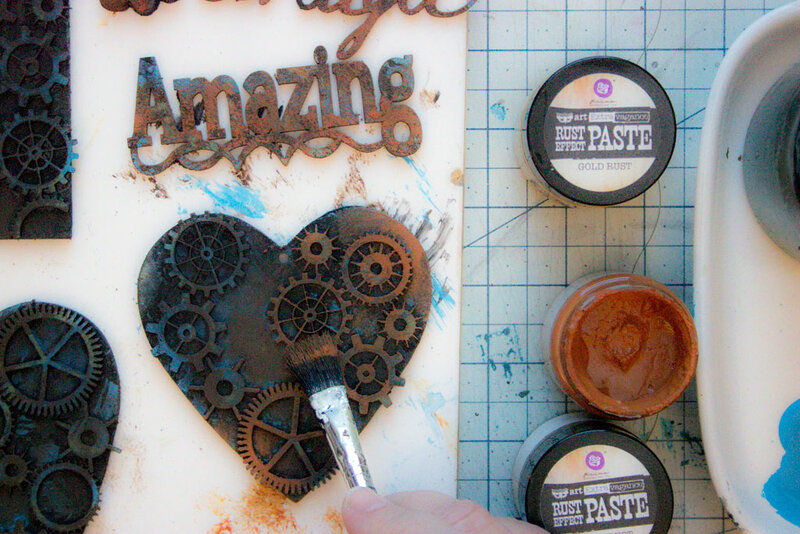 I enjoyed using the Rust Effects Pastes, and will definitely be using them in future projects, as well! Thank you for visiting The Graphics Fairy today! It’s been a pleasure to share this little experiment with you, and I hope that you give it a try, too! 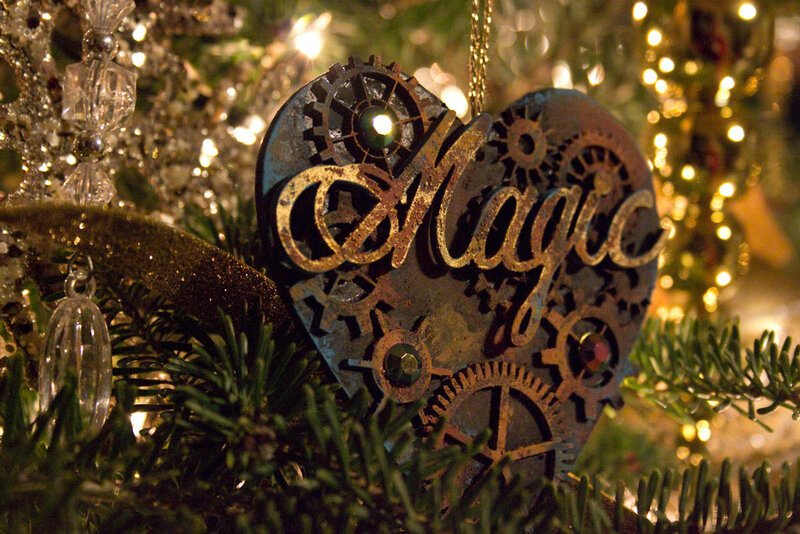 Visit me anytime at Thicketworks, where you’ll find many quirky crafting ideas! 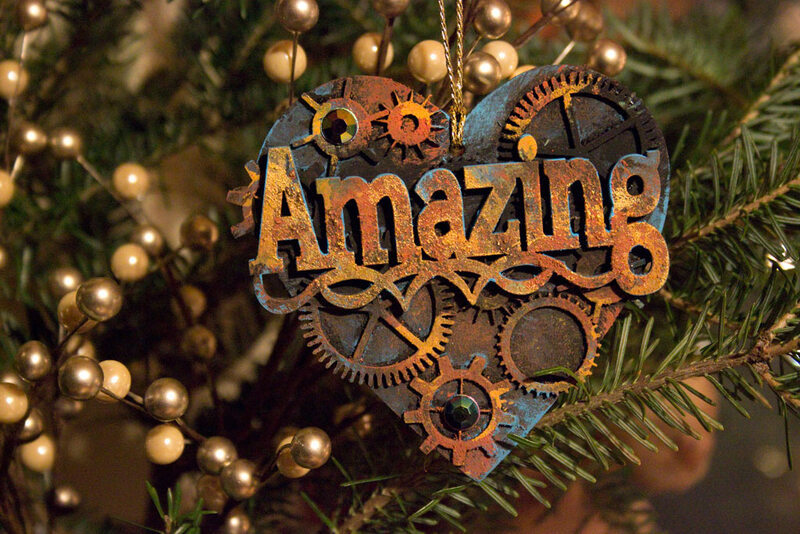 « 14 Vintage DIY Wall Decor Ideas! Love the finish!!! Great job as always!!! 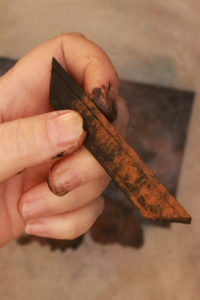 I have just ordered some of the Rust Effects Pastes so your timing was perfect! 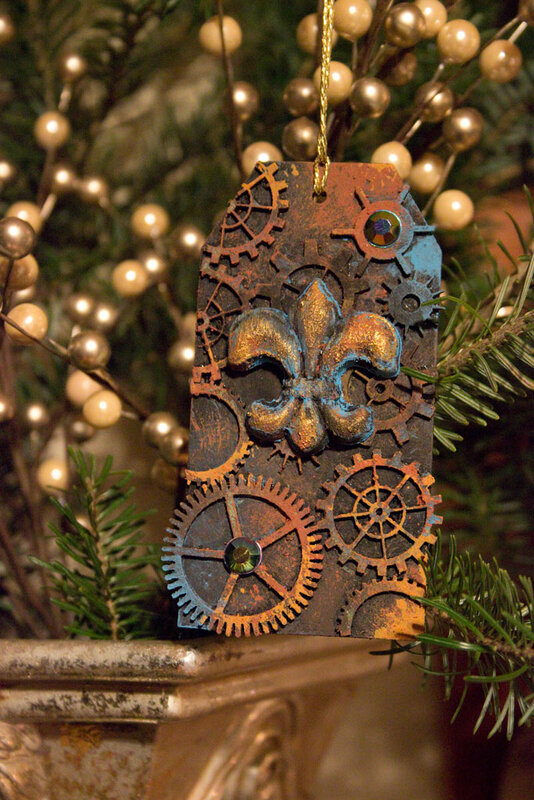 Would you mind sharing where you purchased the little wooden gears? 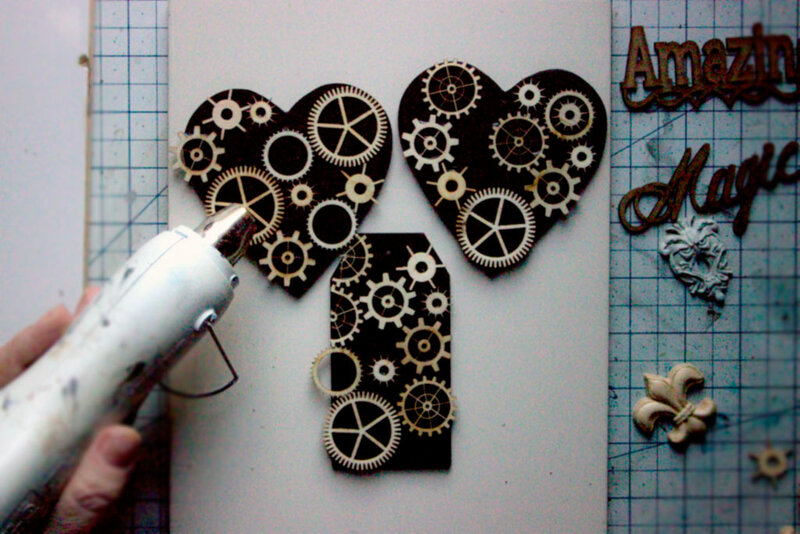 Also, you mentioned the possibility of a gear stencil that you might be working on. Is there further information on it? Hi Frani! 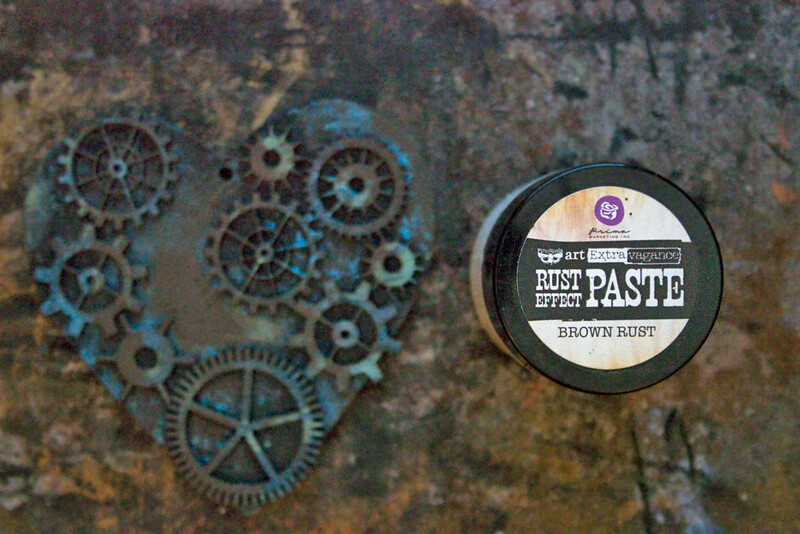 I’m so happy that you’re getting the Rust Pastes – you will LOVE them. The gears came from Hobby Lobby…and yes, I have a few Gear Themed Stencils in the works…thank you for visiting today, my friend! Any more detail step of this work please….love it and want to apply on a mirror frame..
Hi Andy – I’ll be happy to help any way I can. Is there something specific you’d like to know? 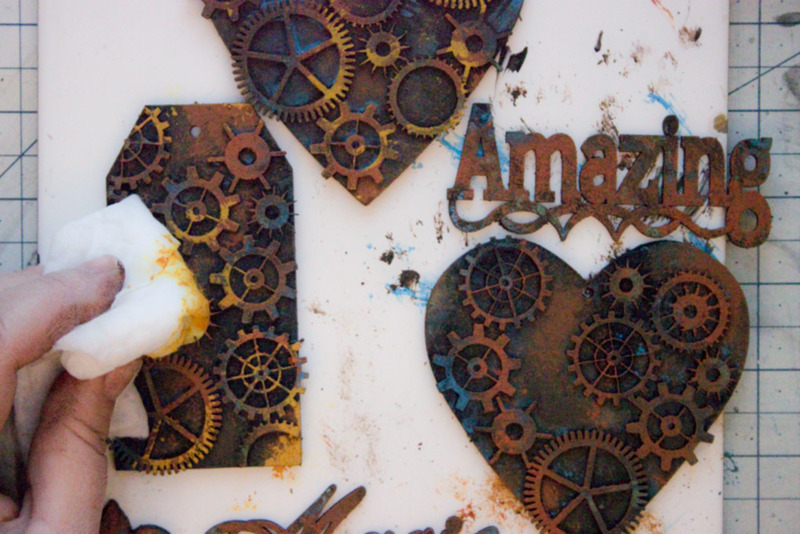 I’ve seen an example of one of our readers who has already applied the DIY Rust Pastes to a picture frame. She just dabbed it on as demonstrated here, and it looked great!